HOUSTON (AP) — Crystal tinkled as women clad in their dinner best bowed their heads over champagne glasses, listening attentively to the captain’s evening address. The Armagnac they sipped was circa 1900. The dishes, crystal and silverware also harkened back to a bygone era — one when Titanic cruised the high seas, destined for disaster. On this evening, though, the captain was Ryan Roberts, executive director of Cullen’s restaurant in Houston. “We’re here to remember the people who perished on that fateful night, so if we could just bow our heads in a moment of silence,” Roberts said, his white-gloved hands reminiscent of the opulence of the Edwardian era that birthed the lush first-class cabins and dining rooms of what was then the world’s largest ship. 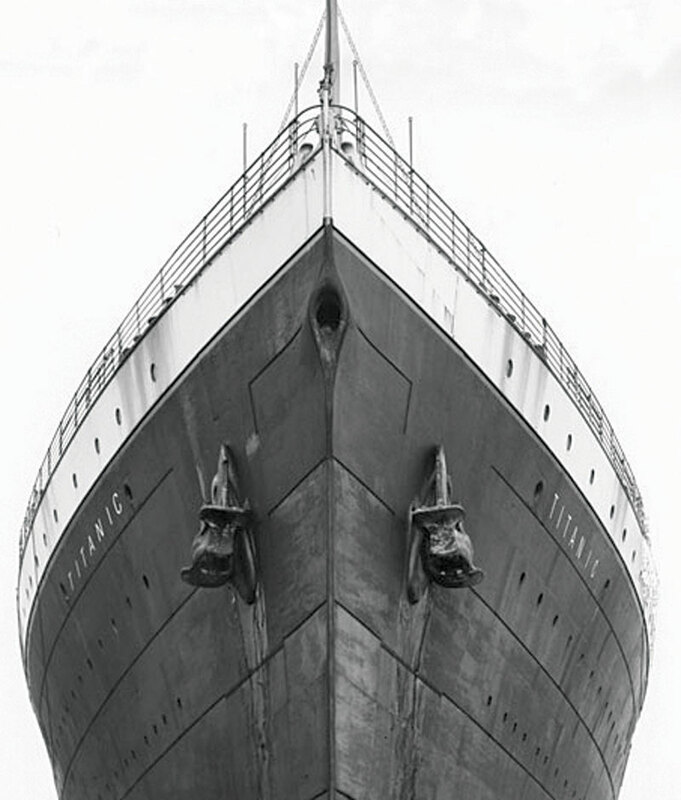 This marks the 100th anniversary of the maiden voyage of RMS Titanic, which hit an iceberg in the North Atlantic on a frigid, dark night, killing 1,514 people. And to mark the occasion, 12 people in Houston enjoyed a replica of the lavish 10-course dinner that the wealthiest people aboard the ship enjoyed just before the crash. The dinner was one of many served from New York to Hong Kong, as chefs worldwide attempted to transport diners to a time when waiters in starched coats and napkins hanging from their arms served an upper class that was far removed from the common man, who filled the lower portions of Titanic and went largely unnoticed by the wealthy until they perished together in the cold sea. At Cullen’s, Roberts and Chef Paul Lewis spent months researching the menu, the waiters’ attire, the china, silverware, crystal, wines, cognacs and Burgundies, hoping to offer their guests an experience as close to the actual event as possible. Pairing up with the Museum of Natural Science to include a tour of its Titanic exhibit, they came up with a $12,000 feast for each party of 12 that will be offered through September, when the ship’s relics will move on to a new destination. After viewing the exhibit, diners are driven by limousine to the upscale restaurant about 20 miles south of downtown Houston, where they are seated in an exclusive dining area suspended over the main hall. There, they are treated to an array of foods from around the world prepared by cooks who have for months practiced and discussed how to interpret a menu too lavish for today’s palate. The truffles are from France, the oysters from Louisiana, the salmon from Scotland. The portions, however, have been scaled down, and some — such as the Consommé Olga, a Russian-style meat broth — were given a more modern twist. “We wanted to make sure there’s enough there to give you the flavor or the substance but nothing to make you hugely uncomfortable sitting there, dreading the next course,” Lewis said. Finding the menus from Titanic — first, second and third class — was fairly easy. They are among the artifacts that were recovered from the wreckage. Rather, it was making sense of the scant descriptions, such as “roast duckling, apple sauce,” that was more complex, Lewis said. He cross-referenced the menu with other research and then came up with his interpretation of the meal. But what did the waiters wear? To answer this question, Roberts went to the movie and finally dressed his waiters in white tuxedo jackets, making sure all, including himself, donned white gloves. Unable to find a complete set of china, silverware and flatware for a 10-course meal or confirm the authenticity of Titanic sets offered online, Roberts finally turned to those who have some memory of the era. “We begged, borrowed and pleaded with a lot of grandmas to find that china,” he said, noting that diners will eat off of sets from the 1900s “that none of us have even touched and weren’t allowed to eat on,” Roberts said. Tracking down some of the food was also a challenge, Lewis said. Truffles, for example, are between seasons and the chef was reluctant to use a canned variety. So, he called in a favor from a friend who works at a restaurant in New York — and the earthy mushrooms arrived barely 48 hours before the big dinner. And then, there was the hunt for the drinks. Roberts found no wine or drink list from Titanic. So instead, he hunted down some wines and ports he believes the people on the ship may have enjoyed with their meal, and a couple of bottles of Armagnac from that era — one at a cost of $400 per ounce, or nearly $4,000 for the bottle.